Anyone who knows me well would agree that I am not a particularly outgoing person in large, social crowd situations or with new people. In small groups or with close friends, I can talk a mile a minute, oftentimes sharing too much. But in larger groups or with new people, I tend to hold back, observe the different conversations, and figure out where I might best insert myself. That reserved nature has been thrown out the window this week. I have initiated conversations with more strangers than I can ever remember. I met an older lady walking down the breezeway on the floor of our condo unit. We engaged in a 5 minute conversation about how she was walking the different halls of our 5-story facility as opposed to the beach where the wind was blowing fiercely. We talked about where we came from (Ohio and Minnesota respectively) and the importance of walking on a daily basis. I have had several elevator conversations, something I normally avoid at all costs. I have discovered where people live (many of them were from Canada), how long they have been down here (1 month is the average), what the weather has been like back home (for the Canadians, anywhere from 1 - 4 feet of snow await them), and what restaurants they might recommend. At the pool, I ran into the same lady three days in a row. We have become the best of friends, discussing how cold is too cold to be sitting by the pool, sharing titles of books we are reading, and talking about where our homes are. So what's with this new chatty Karen - this person who is conversing with so many strangers? I'm not sure, but I think it might be related to how relaxed I am feeling this week; it seems to have taken out a layer of inhibitions I might normally have had. I am enjoying the ability to be open to new experiences and people when I have the "room" in my brain to take it all in. And it's been a blast! For more slices, head on over to Two Writing Teachers blog. Last night, my husband and I stopped at Rock Hill, South Carolina, on our way to Hilton Head. We got in somewhat late, and immediately asked for directions to a good local dinner restaurant. 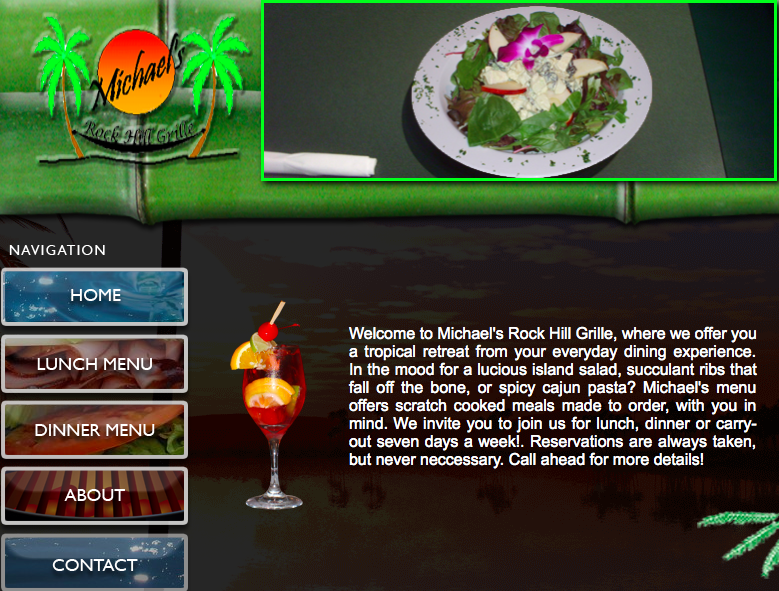 We were referred to Michael's Grille. What a treasure this place was!! After some glitches with our directions on the way to the restaurant (we basically doubled the distance we needed to drive), we finally arrived at a quaint place, complete with a lovely front porch. When our waiter came to the table, we inquired as to what the specialities of the restaurant were. His immediate reply, "The ribs." Oh my goodness - he was so right. These were the kind of ribs whose meat literally fall off the bone. And then the glaze on the ribs was a mixture of special recipe barbecue sauce, honey, and sugar. The folks at KFC might call their chicken "finger-lickin' good", but that's because they haven't eaten these ribs yet. They were truly the best ribs I have ever eaten. My husband and I tried to decide after dinner if we wanted to clean our fingers properly, or just lick off the bbq sauce; we opted for the proper thing to do, even though the latter idea would have been incredibly delicious. As we fell asleep last night, I knew I wouldn't be dreaming of the lovely Hilton Head beaches that night, but instead would dream of the ribs from Michael's Grille. Today's slice is a quick one after a great morning and Nerdy Book Club lunch in Grand Rapids, followed by a 5 hour drive home. If you haven't seen the clever spoof Justin Timberlake and Jimmy Fallon did on twitter users and their excessive use of hashtags, you really need to check it out! But this weekend at MRA, a small group of us began our own hashtag - #KatieKnows. One of our group that traveled to Grand Rapids is a darling young teacher who is vivacious, adores books, and has a thirst for knowledge. 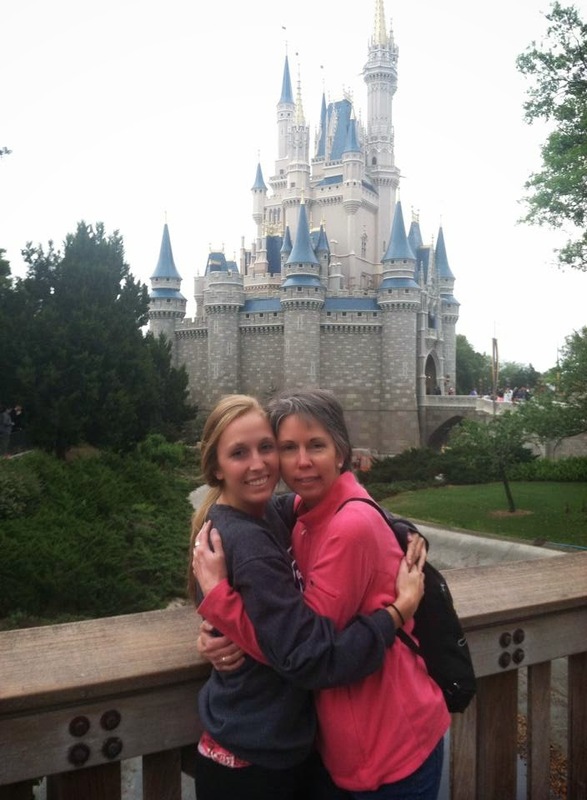 She also proved to be more aware of her surroundings than those of us old enough to be her mother. Every time we needed a direction on our road travels, Katie knew what to do. When we were seeking out rooms for our sessions in the convention center, Katie always knew what to do. When one of us needed coffee, Katie knew where it was. When we smelled a wonderful mix of cinnamon and nuts, Katie knew where they were roasting and even bought some for us. When we were seeking the dinner room, Katie knew where it was. For more slices, head on over to Two Writing Teachers blog. Thanks to that wonderful team for hosting the Slice of Life Challenge this month. Since this is a celebration, I will be cross-posting to Celebrate Saturday and Slice of Life Challenge today. I am soooo celebrating my decision to come to MRA this year for many reasons, of which I will share some snippets. 1. #CarPD just never gets old. Even when stuck in a traffic jam that had us creep 4 miles in 1 hour, the conversations in the car pushed my thinking about life and the profession I love. 2. Starting the day with Jeff Anderson, author of 10 Things Every Writer Should Know. If you have never heard Jeff present, you are missing an action-packed ride full of music, humor, grammar instruction, and a passion for teaching children. Who knew commas could be such a riveting topic?! 3. Our Keynote speaker today was R.J. Palacio, the brilliant author of Wonder. First she talked about the seeds for Wonder, and then she brought the crowd to tears by sharing all the ways the concept of "choose kind" has spread across the globe. What an incredible woman and book! 4. Listening to the brilliance of Troy Hicks just never gets old. Today, he had with him the co-author of their latest book, Create, Compose Connect - Jeremy Hyler. A fascinating look at persuasion, argument, and summary writing using digital tools. Will be investigating mindmeister.com closely soon - its synchronicity to Google Docs is amazing. 5. The last session of today was with Kristin Ziemke, coauthor of Connecting Comprehension and Technology. As she shared the work she is doing with thinking, reading, writing, composing, and communicating using technology with 33 first grade students and no aide, I was in awe. She shared many things that would work wonderfully in our 5th grade classroom as well. 6. There is a cute boutique in our hotel. After that last session, there were a few fun purchases made by all of us. Retail therapy when you don't need the therapy is the best kind of all! 7. As soon as I am done typing, I am headed to a Nerdy Book Club dinner, followed by a Nerdy Book Club party. I will be surrounded by people who came to a conference to refine their teaching and want to talk books. As Donalyn Miller would say, "These are my people!" Head on over to Two Writing Teachers blog to read other slices. Thanks to that incredible team for hosting the Slice of Life Challenge this month. And for more celebrations, head over to Ruth's blog to celebrate!! Today, I am feeling grateful. Grateful for a community of writers who understood that I needed to be kind to myself for awhile. Grateful that in the last three days, my teaching partner and I got to celebrate the learning of 50 students with their parents. Grateful that Mom was released from the hospital on Tuesday, and is now safely back in rehab, working hard to re-learn how to use both of her legs. Grateful that Dad has progressed enough that he will be released from rehab next Wednesday. Grateful for the colleagues in our school who asked about my parents on a daily basis. Grateful to be heading to Michigan later today for MRA. It will be so fun to catch up with smart educators, and learn from them as well. Grateful for the #CarPD, conversation, book talks, and laughter that will happen in the car ride there and back. Grateful for the kind and generous card that came in the mail yesterday. Grateful for the sun and warmer temperatures today that always put a smile on my face. 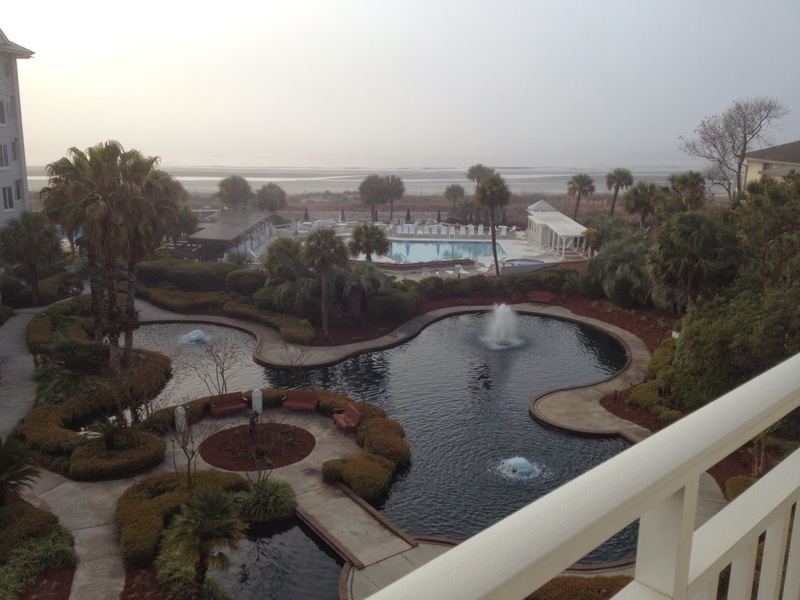 Grateful that next Friday I will be headed to Hilton Head with my husband. Yes indeed, today, I am feeling grateful. For more slices, head on over to Two Writing Teachers blog to read what others are slicing about. Thanks so much to the TWT team for hosting this event. As the events of these past few months have overwhelmed, outside of my family, there is one person who always had my back... and always does. I'm very fortunate to have her in my life. Today's slice is just a small way of appreciating our past 41 years of friendship. For more slices, head on over to Two Writing Teachers blog to see what others have to say. Thanks so much to our hosts for moderating this month-long event. Kind. That was the word that I chose for my OLW this year, and I've been thinking about it a lot in the past few months. Tonight, I came home from the hospital stressed, but mostly tired. Sitting at the hospital is always tiring, but when your parent is in pain, that time is even more tiring. When your parent is in pain and distress and not acting like herself, things become overwhelmingly tiring. And this overwhelming sense of tiredness is exhaustion. But it's not just the hospital waiting and my mom's discomfort that led to this exhaustion. It's the sum total of all the ways I've tried to mesh my personal and professional lives the past few weeks. Progress reports, parent-teacher conference forms and conferences, lesson plans, sub plans for all the days I had to miss school to be at hospitals or doctors with my parents, writing my posts for Slice of Life Challenge, trying to comment on other's slices (not very successfully, so far), spending an hour or more with mom and dad each night at their rehab facility, doing their laundry, running errands for them, finding time to spend with my husband, making sure I get my exercise minutes in -- these have all become the "have to's" I've imposed upon myself. Which brings me full circle to my OLW - kind. I reread my original post carefully and realize that I stand no chance of being kind to others if I'm not being kind to myself. Some of these items I don't have choice about; they are part of my professional duties. But others, I can begin to be more flexible about. Though I love the idea of writing every day in March, and I hope that happens, as of tonight, in this state of exhaustion I find myself, I am choosing to be kind to myself. If I post every day with this amazing Slice community, great. If not, it means on that particular day, something else more pressing needed my attention, even if that "more pressing" item is going to yoga or reading for an hour or so. 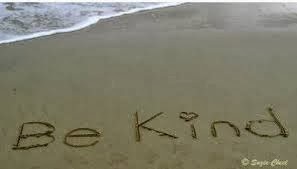 I don't like the person I am right now, so "choosing kind" for myself will helpfully allow me to choose kind in regard to others as well. 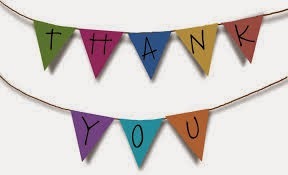 Thanks so much to the amazing team at Two Writing Teachers blog for hosting this month of Slices. Head on over to see what others are talking about today!! "Hospital Time" - whoever invented that phrase knew hospitals well. It's a beautiful Friday afternoon (I know because I can see it out the window), and I'm sitting in a hospital again. On this particular day, my mom is having a hip re-replacement, and my brother and I are in the surgical waiting room waiting to hear from Mom's surgeon. As I sit here in the hospital yet again, I can't help but reflect on this past year and what a crazy roller coaster it's been. If you don't feel like waiting, head on over to Two Writing Teachers blog to check out all the other slices. Thanks so much to this group that leads us through the month of March!! I just want to say this upfront -- "Hi, my name is Karen and I am addicted to Evernote." It's that time again. It is the end of the trimester, and progress reports need to be completed by this Monday. I have had a love/hate relationship with progress reports my entire teaching career. However, my feelings have shifted in the past two years, and I can thank Evernote for that. I find myself documenting so much more learning now. So when it comes time to write thoughtful comments that will benefit the student and the parent(s)/guardians, I get to look through a digital portfolio of all the learning and teaching moments I have captured. I can see trends for my language arts students when it comes to reading, writing, and word study, and can annotate that so all can learn. When I finished my last progress report comment tonight, I knew I had good data; information that would be meaningful to all. Thanks Evernote. And with that, I say good night. Thanks so much to the ladies at Two Writing Teachers blog for hosting the Slice of Life Challenge! I look forward to catching up on many lives this month. Real life -- if you can't laugh at yourself, who can? I have been flying from meeting to meeting lately, and trying to tie up loose ends, such as progress reports and conference forms for next week before my mom's hip surgery this Friday. To keep up with what I need to do each day, I originally plotted out all the deadlines on a monthly calendar. Then each day, I create a daily "to do" list; one of the old fashioned paper and pencil kind. It even says "To Do List" at the top in case I forget what the list is for. However, when I got there, I was the only car in the parking lot. Being the problem solver that I am, when I saw the empty parking lot, I got out my registration slip, and upon closer inspection of my workshop confirmation, it appears that the 2 hour workshop is tomorrow, March 6, not today, March 5. Whoops. As I drove the half hour back to my house in rush hour traffic, knowing all the pre-planning I've done to stay on top of things, thinking of all the "to do" items I could have accomplished, trust me that the word I was saying out loud was not "whoops!" I have been thinking in these first few posts about how to elevate the quality of writing in our workshop. At a language arts council meeting I attended recently, I had the good fortune to see a video clip of Tony Keefer doing a writing mini-lesson about "manipulating time." He specifically modeled for students the writing strategies of speeding time up and slowing it down when appropriate. What struck me immediately on watching the tape was that Tony actually had written, revised, and shared writing pieces with his class. I have written many first drafts in front of my class, but had never gone the next step to actually revising and polishing a piece. Sure, I did bits and pieces, but never really shared work from start to completion. Layered into my thinking about Tony and his modeling was something Penny Kittle had shared at the Dublin Literacy Conference. She oftentimes gives students a piece she has written, and then asks them to read the piece, marking on it as needed, so that they can analyze it and give her the specific feedback that she requests. Tony's video clip + Penny's share about requesting feedback = an important moment for me as a writer and a writing teacher. 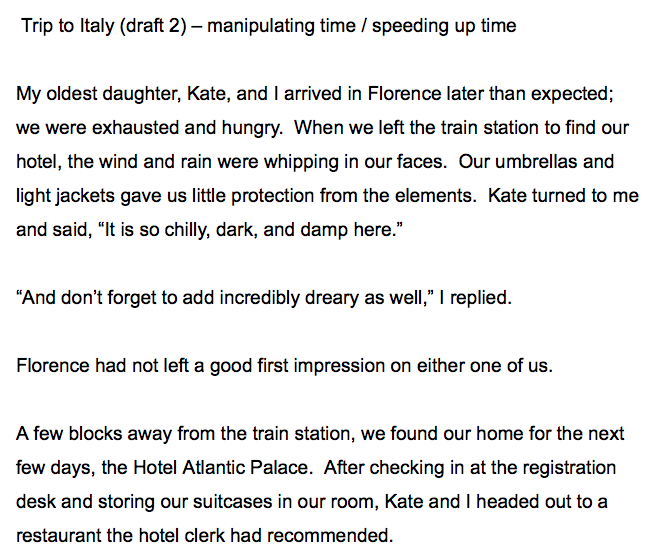 I began to dig through my writer's notebooks to see if I had a seed of an idea I might want to develop, and lo and behold, I stumbled across my 28 pages chronicling all the events that happened when I visited my daughter, Kate in 2007, when she studied abroad in Spain. That trip was my first-ever time across the ocean, and I knew there were many stories I wanted to tell from that time period. As I scanned through the 28 pages I had written, I realized that most of my notebook entries were filled with minuscule details of things I wanted to remember. They were the very stories we warn our students about -- bed to bed. Does this piece have a clear story line? How were the details of the piece -- too few or too many? Would dialogue help my piece? They had 5 minutes to mark up their copies of my piece, keeping my three questions in mind when thinking about suggestions for me. Their feedback was amazing, and I jotted all over my copy what they had suggested. I made revisions using their suggestions, and shared a part of the piece the next day. I also made sure to "manipulate time" by speeding up the action in one part. On that second day, we did a comparison of where my piece had been and where it was today. 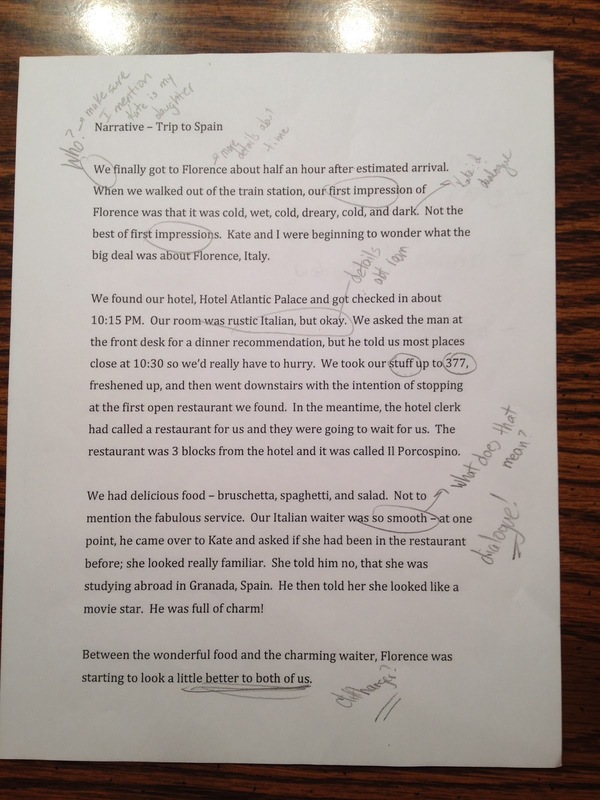 I hadn't just substituted words or moved sentences, but rather I had truly rewritten the story for better flow. I encouraged them to try speeding up the action in pieces where they were doing exactly what I had done; telling every single mundane detail. We had a model of how improved a piece could be. 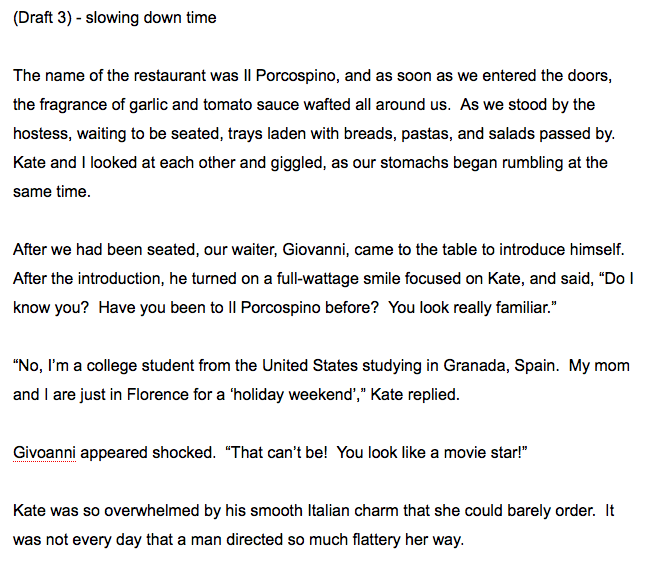 The third day, I came back with more writing; a continuation of the Florence piece, only now that I was in the restaurant scene, I wanted to slow down time. When I shared this part, one of my students volunteered that I must have used the "show not tell" strategy when I slowed down time. I didn't consciously, but he is correct when he noticed that had happened. For writing teachers, you have heard this a million times before, but there is great power in being a writer with real writing problems in front of your students. Having them see me struggle, ask for their feedback, and then use it becomes a wonderful teaching tool. That's all for now. Not because this post is polished the way I want, but I am exhausted and need to go to sleep, and I have 17 minutes to make the deadline for posting today. I'm continuing my thinking about how to put energy and purpose into our writer's workshop. My students recently completed a focus study on opinion writing. We spent a great deal of time talking about how important it was to know who their audience is in order to find the best supports and evidence for their thinking. In addition, knowing their audience allows the writer to choose the best "container" (thanks, Mary Lee for that great word) for their piece. For their opinion pieces, many students did a slideshow presentation (Keynote or Explain Everything), other students made books to share with younger classes, while another group decided to write more formal essays. The list goes on, but the thing all these letters had in common was a strong belief that something needed to be changed, and these students wanted to go to the source with their cases. When there was so much passion shown by the writers in the classroom, it was an absolute surprise and delight to find typed letters on school letterhead from our principal in my mailbox one day last week. He had written to each and every student that had composed a letter for his eyes. This action on his part literally brought me to tears, anticipating how excited the students would be that the principal not only read their opinion piece, but responded to the specific arguments they had made. When I handed those letters out last week, there was a palpable excitement in the room. "Let me see! Let me see!" was a refrain in both classes. Audience is important. Audience matters to writers. 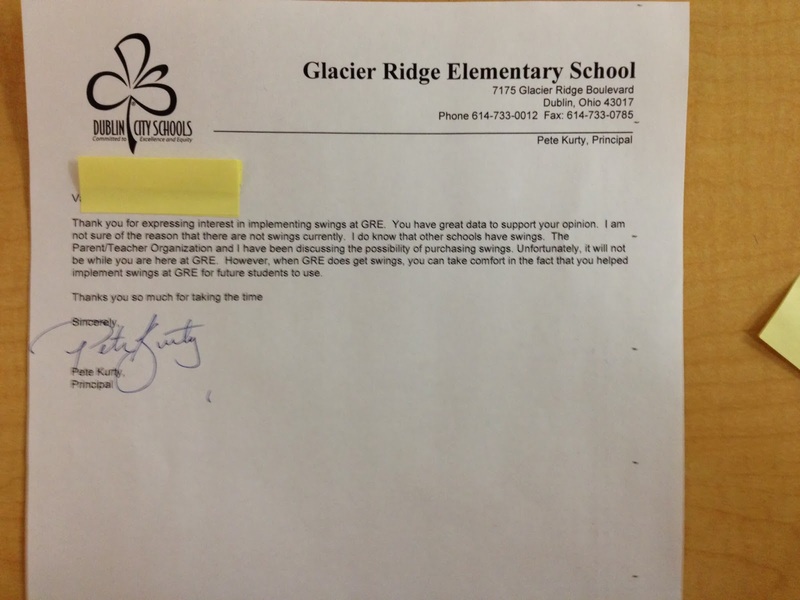 Take a second to read what my principal wrote to this student. A response like this guarantees that this student will have purpose for every opinion/persuasive piece he writes in the future; he now knows he can make a difference. On a recent #NCTE Twitter chat, the topic was formative assessment, such an important topic for all educators to be thinking about. 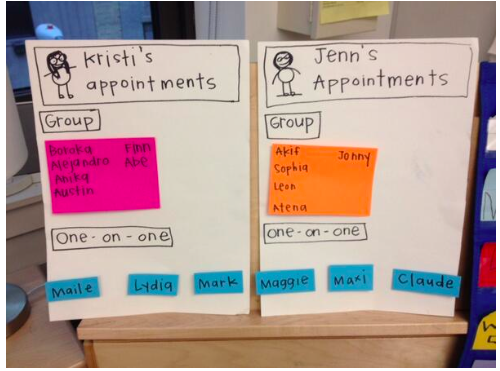 During the conversation, Kristine Mraz posted a picture of a chart in her room that helps her stay honest when it comes to conferring with students and meeting with them in specific strategy groups during writing workshop. I would like to share a short piece or a small section of my writing on Friday. The students were asked to put Post-it notes under one of the categories that would best help them as a writer when a need arose. My initial thinking was about the autonomy this would give students; the power of having them ask for what they need as writers would be terrific. This board went into place the day after the #NCTE Twitter chat, and in my humble opinion, has been a huge success. While I still have strategy groups or conferences that are on my radar as a writing teacher, students are now asking for the assistance they need as writers to get them past a particular roadblock to which they may have come. The focus and the industry of our writing workshop has changed dramatically, especially this last week, as this new routine became a more solid part of our workshop. Truth in advertising, this was also the first 5 day week I've worked since December (more on that in a later slice), but I think it's more than that. I think this chart I borrowed and remixed from Kristine has allowed students a voice as writers that they might not have had before when I was the only one directing which students I would meet with each day. Now, we have a more democratic way of helping writers, where everyone has a voice. I expect that these categories might get tweaked as different needs arise, but for now I am cherishing the "work" time of our writing workshop. My slice for today is a precursor to the slices of the next few days. Several events have dovetailed in my professional life lately that make me strongly believe in serendipity, and have allowed me to become a more thoughtful writing teacher. 1) A week ago today, I attended the Dublin Literacy Conference. This is always one of my favorite conferences of the year. The committee gets amazing thinkers and authors to headline this special day. Year after year, the lineup never disappoints. There were many amazing speakers, but the one I could have listened to all day was Penny Kittle. Whether talking about reading workshop or writing workshop in a high school setting, Penny was so passionate about her work with students, and helping them to see themselves as readers and writers. 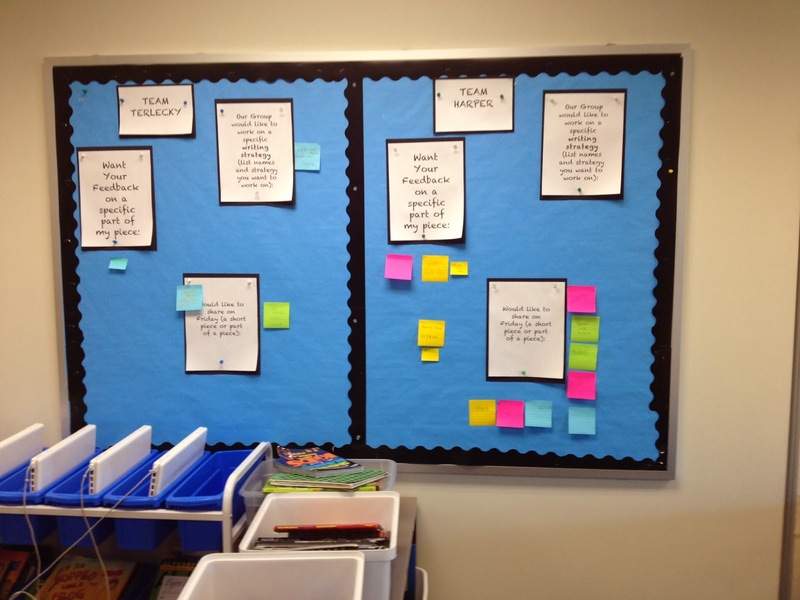 2) During a recent Twitter #nctechat on formative assessment, Kristine Mraz shared a picture from her classroom about a very public way she stays on a schedule with her writing conferences and strategy groups. 3) About a month ago, we finished a study of opinion writing. Our emphasis was twofold: write for your audience and make sure you are able to support your position with many logical arguments and facts. Some students had written persuasive letters and had mailed them to the person/organization they thought could best affect the change they were seeking. 4) A week or so ago, I was at a language arts council meeting for our district. While there, during our reflection on workshop practice in the classroom, we watched a video of Tony modeling for students the art of manipulating time in a piece; knowing how to both slow time down as well as speed up time in a narrative. His mini-lesson was brilliant. These great nuggets of information about writing have been swirling around in my brain. Stay tuned for the next few slices to see how these events have helped our writing workshop refine and evolve into a better version of itself. In the meantime, you really need to head over to Two Writing Teachers blog to read the amazing Slices that others are writing. The challenge of writing each and every day in March can be quite daunting, but what a great group of people with whom to tackle this event!